Ensuring a safe and secure water supply is one of the key functions of our Water Production Department. 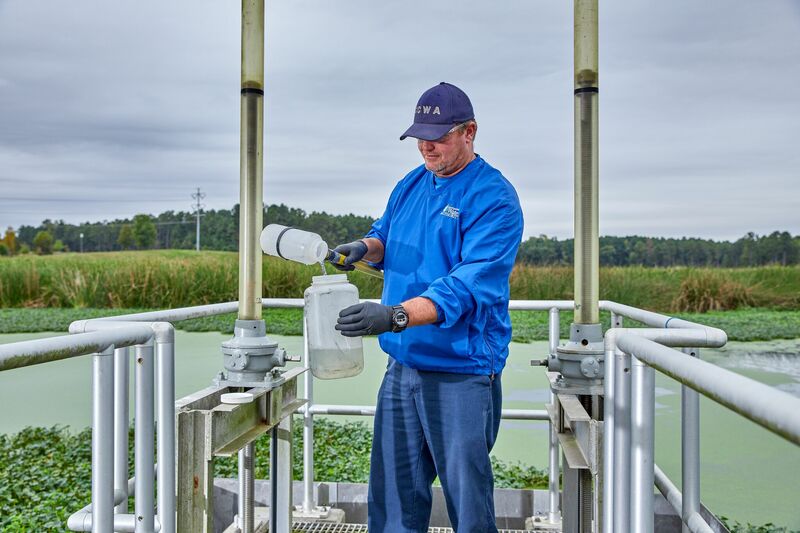 CCWA constantly monitors the water throughout the system for safety and efficiency. 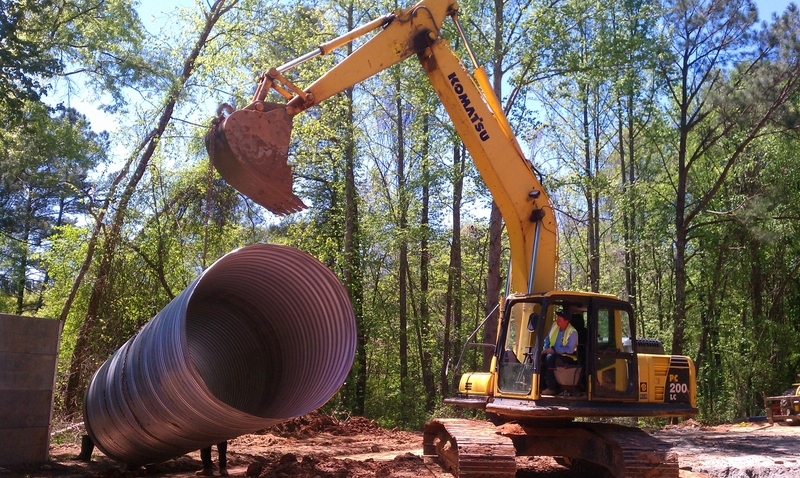 CCWA manages stormwater for the unincorporated Clayton County and its six cities. CCWA took over management of this infrastructure in 2007 to provide an improved level of service. Once water leaves a consumer’s home or a local business after consumption, it enters the Authority’s complex system of pipes and lift stations known as the conveyance system. 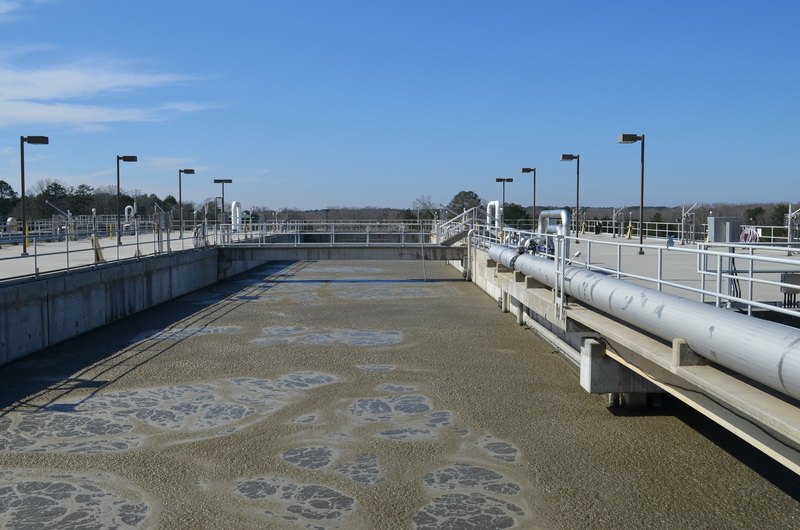 After the initial phase of wastewater treatment, CCWA utilizes natural treatment systems to complete the purification of this reclaimed water. This tertiary stage involves the discharge of treated wastewater into a network of man-made constructed treatment wetlands. The department also manages the raw water reservoirs in the county to ensure sufficient quantity and quality of water is available for drinking water production. CCWA is one of the few metropolitan water utilities in the country utilizing constructed treatment wetlands as a final treatment stage of water reclamation. By using constructed treatment wetlands to recharge our water supply, CCWA has developed a truly sustainable water supply. This innovative approach garners industry attention throughout the U.S., and the world, as peers look to Clayton County to learn more about our sustainability practices. Clayton County was one of the first jurisdictions to have a unified utility that includes unincorporated areas and local cities. The Clayton County Government, its cities and CCWA worked together to implement a Stormwater Management Program that provides residents and businesses with an improved level of service. 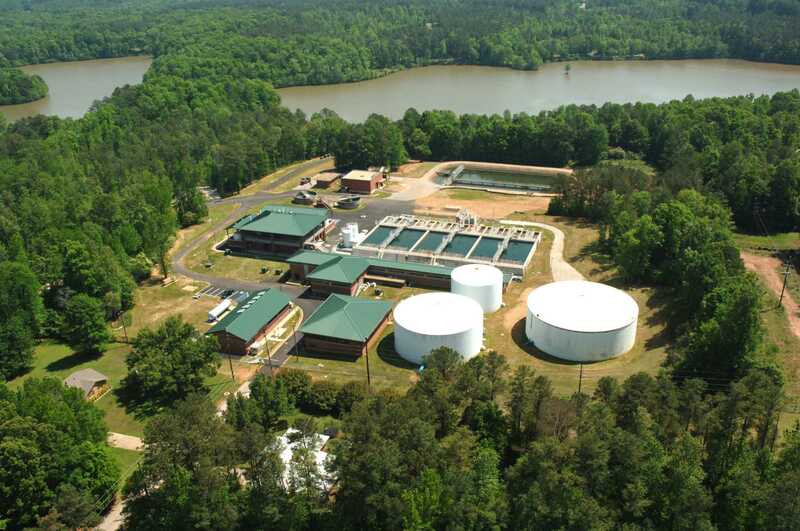 The Clayton County Board of Commissioners and the city councils of Forest Park, Jonesboro, Lake City, Lovejoy, Morrow and Riverdale adopted the Clayton County Stormwater Utility Ordinance in 2006, placing the new countywide utility under the management of the Water Authority. Since July 2007, CCWA has been responsible for all stormwater services. A large portion of the community has stormwater pipes and drains that are at least 40 years old and are reaching the end of their lifespan. Pipe failures can cause sink holes in the roads and on private properties that can be costly to repair. CCWA Stormwater Maintenance Crews work throughout the county cleaning, repairing and replacing stormwater structures such as catch basins, headwalls and drop inlets, and replacing numerous sections of corroded corrugated metal pipe that have resulted in sink holes. They maintain 500 miles of infrastructure. The Stormwater Utility also helps Clayton County meet federal and state water quality standards that become harder to meet as our county continues to grow. The Clayton County Stormwater Utility is the fairest way to provide a dedicated funding source for countywide stormwater management.